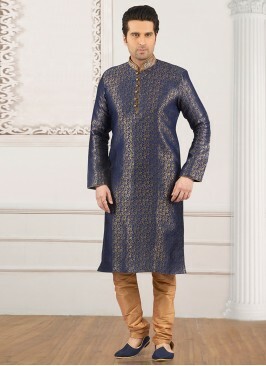 Authentic splendor will come out as a outcome of the dressing trend with this cream wedding wear indo western . It come with matching bottom. Note: mala, mojdi and safa(turban) only for photoshoot purpose. 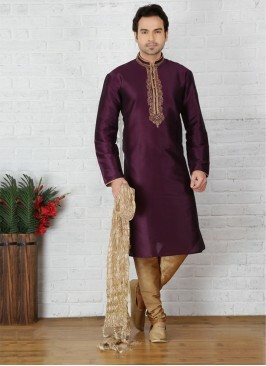 Purple Kurta Pajama For S..
Men's Wedding Wear Indo W..